The accident: While filming scenes for the series Dyesebel, the actress was stung by a box jellyfish. She was shuttled to different hospitals in Batangas to get proper treatment until she was finally confined at a private hospital in Taguig. "I am very thankful that I got stung by only half a tentacle," Anne recalled the incident in 2018. "So, even if I experienced all the symptoms—vomiting in a span of one minute, extreme pain and delirium—the venom was not enough to put me into cardiac arrest and turn into a fatal sting." The accident: In 2015, Angel explained that years of intensive training for various roles, including her training for Darna, took a toll on her health. Combined with other factors, this led her to develop a bulging disc injury and at present, she is still undergoing therapy for her spine. 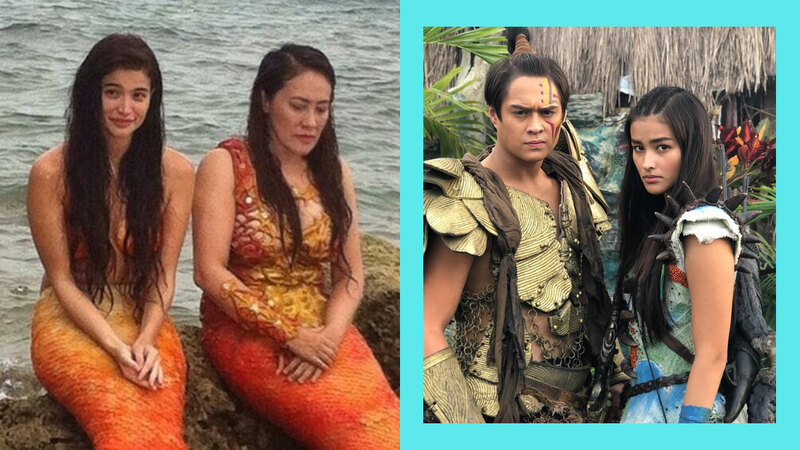 The accident: The actress was in the middle of a fight scene for her TV series Bagani. In an interview, Liza said that they got carried away in the middle of shooting and her finger accidentally got hit with a [prop] sword. "I got injured in the middle of the fight scene. Kasi when we were doing the scene, I guess we were really feeling it and medyo nagmamadali din kasi kami dahil umuulan and we have to get the scene before it starts raining." Liza's injury also became the reason for her withdrawal from the Darna remake. The accident: Andi moved to Baler to live the island life right before her second pregnancy. The wound was from a surfing accident and a possible allergic reaction. "This wound is from not paying attention to my board in the water while I was making kulitan with Dagul. Due to the impact, my eyes and nose swelled up," Andi wrote on Instagram Stories. The accident: While in the middle of completing his level 3 and 4 courses under the California Superbike School Philippines, Paulo's motorbike crashed! In an Instagram post, Paulo shared the details of the accident: "Yes, I did crash again and although it was a low side crash, unfortunately, I dislocated my right shoulder for the first time (It was painful btw). Tuason Racing and the event organizers immediately rushed me to the hospital where they were able to pop my shoulder back in (hurt even more) but immediately felt relief over my right shoulder."